Many HVAC systems in San Francisco Bay Area homes are programmed with zones. Many homeowners, however often find their zoned systems to be problematic. Why? 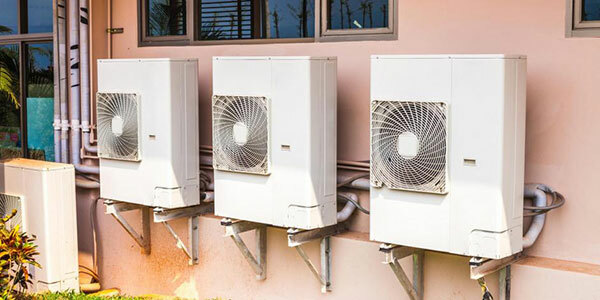 Zoning residential HVAC systems using a single furnace and air conditioning unit is one of the more complicated mechanical engineering problems faced by HVAC contractors. At BPP, we have yet to see a zoned system in an existing home that entirely complies with the manufacturer’s installation requirements. What Are the Zoning Problems in East & North Bay Area Homes? High Static Pressure This can indicate that your furnace and AC unit are working harder to achieve the temperature settings in each zone. Symptoms can include breezy vents, noisy operation and higher energy bills. System Overheat Overheat can occur when the HVAC unit is working to overcompensate for poor design or programming. Bypass Pressure Loss Pressure loss from additional systems like air filtration or dehumidifying systems can impact the function of zoned heating and cooling. The Carrier Infinity Zoning System solves so many of the traditional challenges homeowners have with zoning. The Infinity components adjust to different zoning conditions using sophisticated algorithms. The variable-speed ECM motor, for example, can reduce speed to respond to reduced heating or cooling zone requests. The variable speed condenser also can reduce cooling capacity as needed. Carrier’s Infinity Systems have smart sensors and good diagnostics. The systems are sized using CFM room requirements, which is calculated using the volume of the rooms and the ventilation. When designing these systems, we make sure that your home has adequate fan flow to make the system work properly. Simply put, if your home would benefit from a zoned HVAC system, consider a Carrier Infinity system that BPP can properly design, install and commission. We know you’ll like the improved comfort and energy efficiency! Zoned HVAC systems can improve your home’s comfort! BPP has the expertise to design and Infinity System for you home. Contact us to set up an appointment!